From fancy gardens, carved trees, and amusement rides, Gilroy Gardens in Gilroy, California is your one stop for it all! 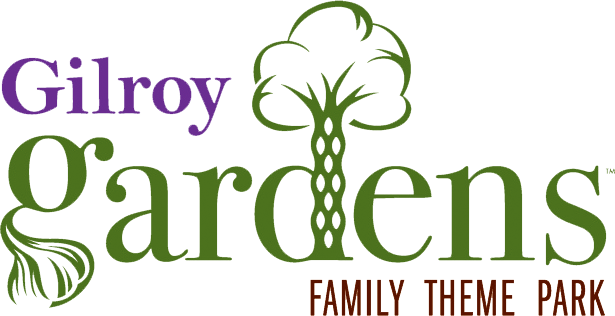 Gilroy Gardens has had an interesting history and today is considered to be that beautiful garden-type theme park. Many love to just sit down and take it all in. This is a park that, if you a coaster enthusiast, would not be up your alley. If you are looking for a peaceful, quiet setting with a few amusements and plenty to look at, then this is the park for you. Gilroy Gardens did not start out the way it is today. As a matter of fact, the park was originally just a local place for the employees of Nob Hills Foods. The park was founded by Claudia and Michael Bonfante after they sold their Nob Hills grocery chain to build the park. The park opened its gates in 2001 as Bonfonte Gardens. The first two years of the park’s existence the attendance and revenue was really bad and the park even closed early each season because of the financial troubles. In 2003, Paramount began operating the park under contract and did so until it was purchased by Viacom and they decided to let the park go. In 2006, the operating rights were purchased by Cedar Fair Entertainment and the park is still being operated by them today. In 2007, the city of Gilroy purchased the 536 acres of land that was owned by the couple and it included the theme park. The name of the park was changed to Gilroy Gardens and the park leases the land from the city for usage. Unlike many amusement parks that Cedar Fair owns and operates, this one is a bit different. The park consists of 19 rides, 27 attractions, and 6 gardens to walk through. Of those 19 rides there are two coasters. One of the coasters is a mine themed coaster names Quicksilver Express and the other is a junior coaster for all members of the family. Every ride in the park is heavily themed and you cannot go to the park without walking through the world famous Circus Trees created by Axel Erlandson. The trees are carved into figures and are just magnificent to witness. Next time you are in California and you are looking for a quiet, peaceful atmosphere that is fun for the whole family, then Gilroy Gardens just may be you answer.